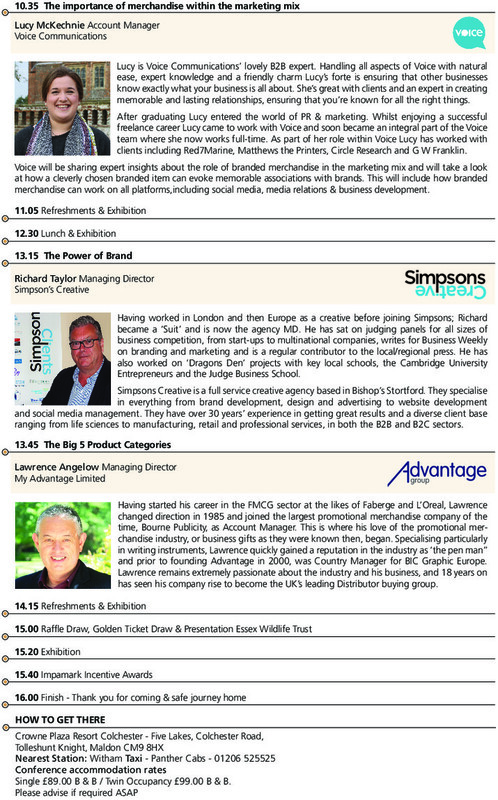 Having previously held four successful client shows, Impamark have planned a new merchandise and marketing conference ‘The Power of Brand’ on Wednesday 25th April at Crown Plaza Resort – Five Lakes, Colchester Road, Tolleshunt Knight, Maldon CM9 8HX from 09.30 a.m. – 4.00 p.m. This entry was posted in General on February 22, 2018 by Holly McLoughlin. As a company, Impamark is making changes in order to help the environment. Non-recyclable materials build up in landfill and pollute. The Earth, our home, is precious and should be cared for. 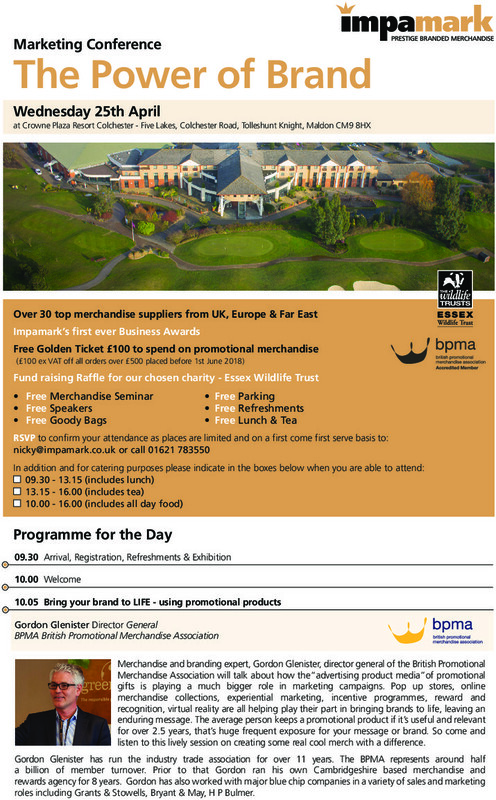 Impamark are proud to be corporate members of the Essex Wildlife Trust. In supporting their efforts, we hope that we can help protect flora and fauna for the future. Conservation is vitally important in maintaining the biodiversity of our planet. Recently there has been a particular focus on plastic pollution. Plastic rubbish is responsible for the deaths of many kinds of marine life. Sadly some animals choke or starve due to ingesting plastic while others suffer due to the accumulation of small amounts of toxic chemicals. This pollution also affects terrestrial animals including humans due to contamination in drinking water. Small amounts of plastic can have effects similar to natural hormones in the body. In order to promote awareness of this issue Impamark are launching the Happy Turtle brand. This logo reflects our move to a more environmentally friendly stance. Impamark is strengthening it’s own internal systems to reduce waste and will be actively focusing on more environmentally friendly products to assist you in promoting your own stand against pollution in the environment. This entry was posted in General on February 6, 2018 by adminblog.